Size: 23.70 x 9.96 mm. 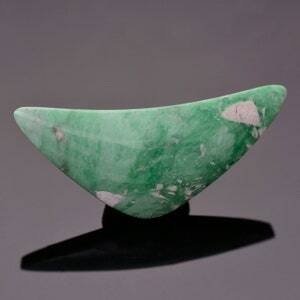 Imperial Jasper is one of the finest grade Jaspers ever discovered. 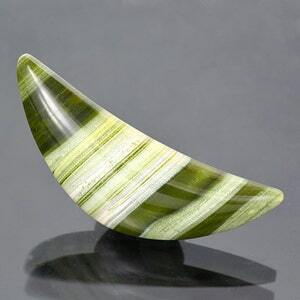 The intricate graded flowing patterns are mesmerizing and look fantastic set into jewelry. 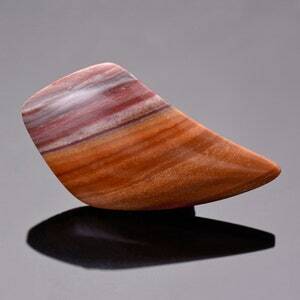 The Jasper itself is hard and polishes with an exceptionally smooth finish. 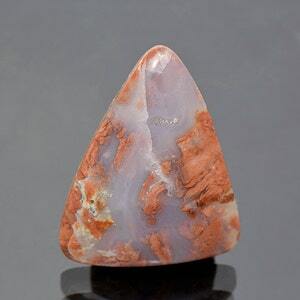 This is due to the material having few other minerals mixed in with the composition and the incredible pressure during the cooling of the Jasper when it was being formed. 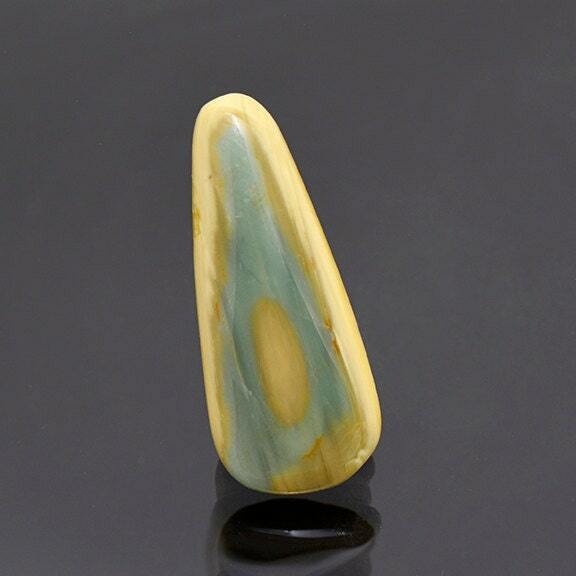 This piece has a lovely wood grain like pattern with radial colors of sea blue and light green. 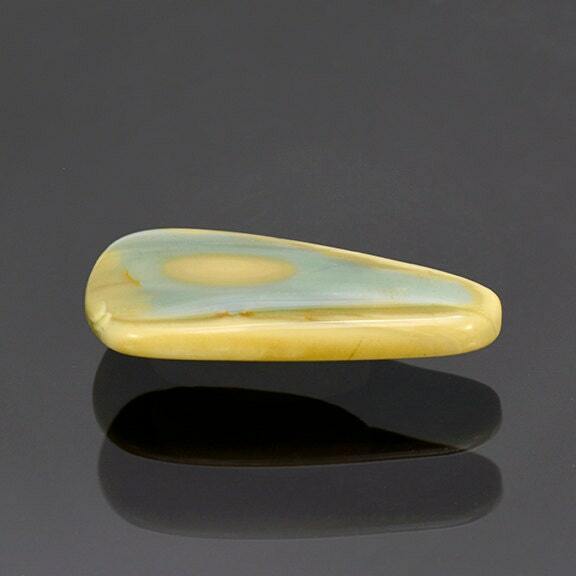 Each and every piece of this Jasper is different and no 2 stones are just alike. 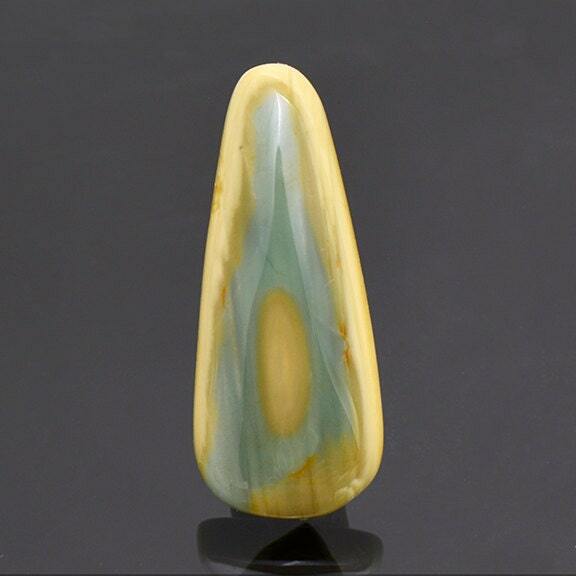 This piece will make a beautiful and one of kind pendant! Enjoy!